This review is dedicated to two new additions to their line of eyebrow products: the eyebrow powder duo and eyebrow mascara. I’m surprised I haven’t seen a lot of reviews of these! They have been out in the market for about a year now. This came with a brush applicator, but I disposed of it. I have a love-hate relationship with brow powders. I love how natural they can look; but, I’m not fond with how poorly pigmented some eyebrow products are. This one is not lacking in pigmentation, though! 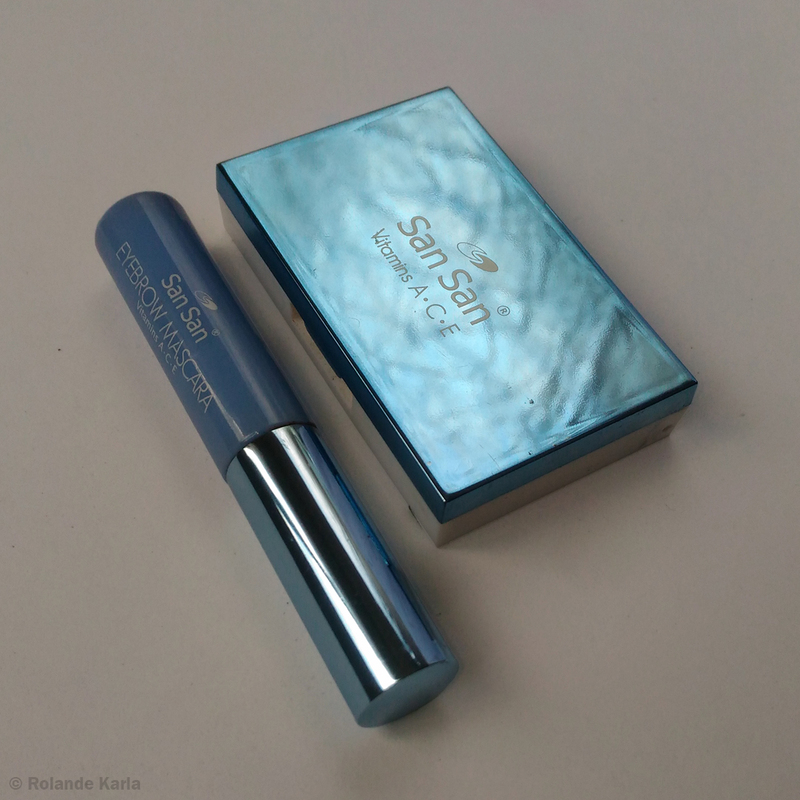 It is also buildable; so, if you also prefer bold brows (or if you like to switch it up sometimes), this is a good product for you! You can use it dry for a soft definition or you can apply it with a wet brush to get better colour payoff and more defined strokes. 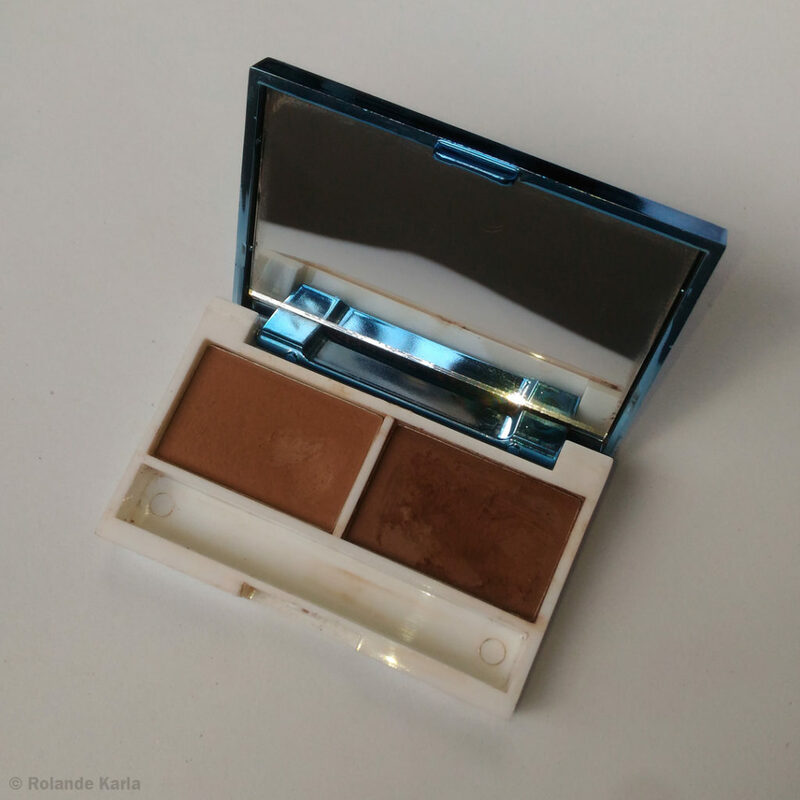 The brow powder is easy to work with and it is blendable. It has very good staying power, too. Sometimes, I use this as eyeshadow or as a contour powder! The only thing I don’t like about this is that it can be a little too powdery sometimes. Expect a bit of product fallout; so, tap off any excess on your brush. This eyebrow mascara is surprisingly pigmented! You can even use it on its own if you have naturally thick eyebrows. 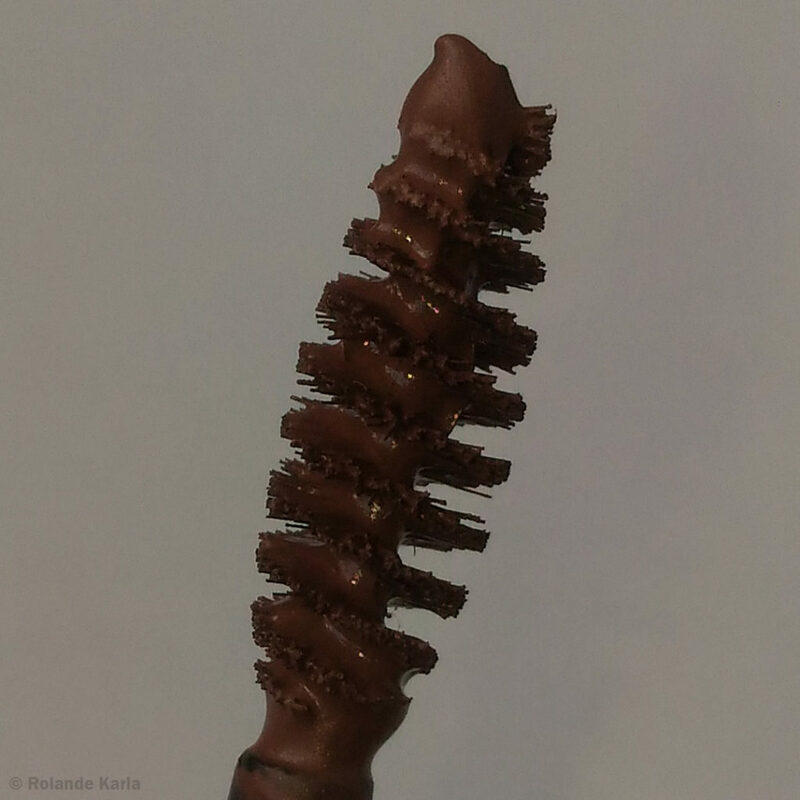 [You can use an angled brush to apply this as you would with a brow pomade or brow gel.] It sets the eyebrows in place and holds very well. I’ve worn this during workouts and this does not budge even when I’m drenched in sweat. Oily skinned people, this will be your best friend! 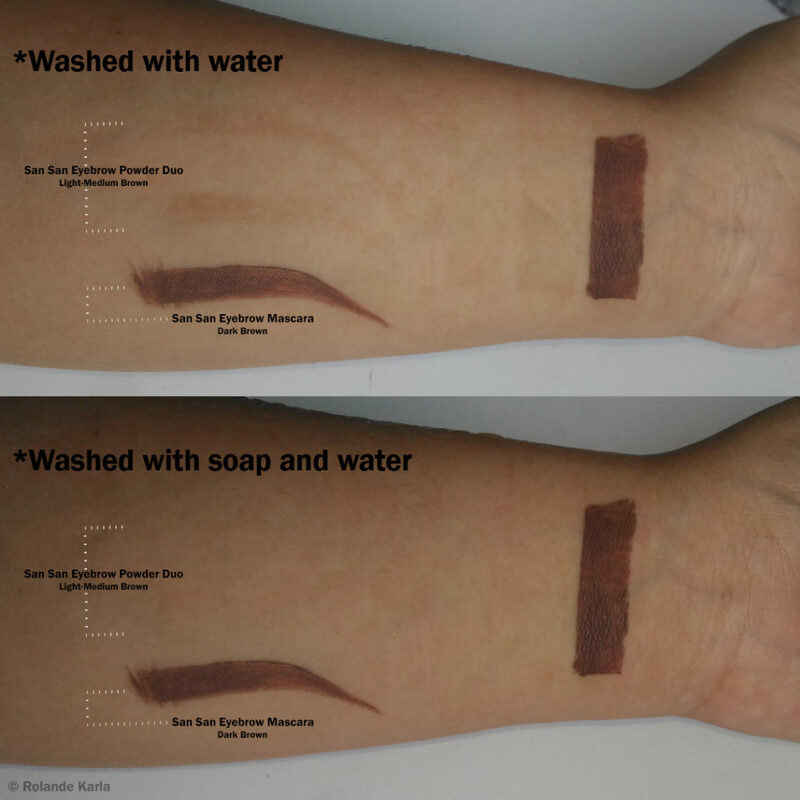 It comes in two shades: Light Brown and Dark Brown. This product is really good for adjusting the colour of your eyebrows to match your hair colour or to simply lighten/darken the tone. Make sure remove the excess product on the spoolie applicator because it tends to pick up too much product. Notice how much product the brush picks up? 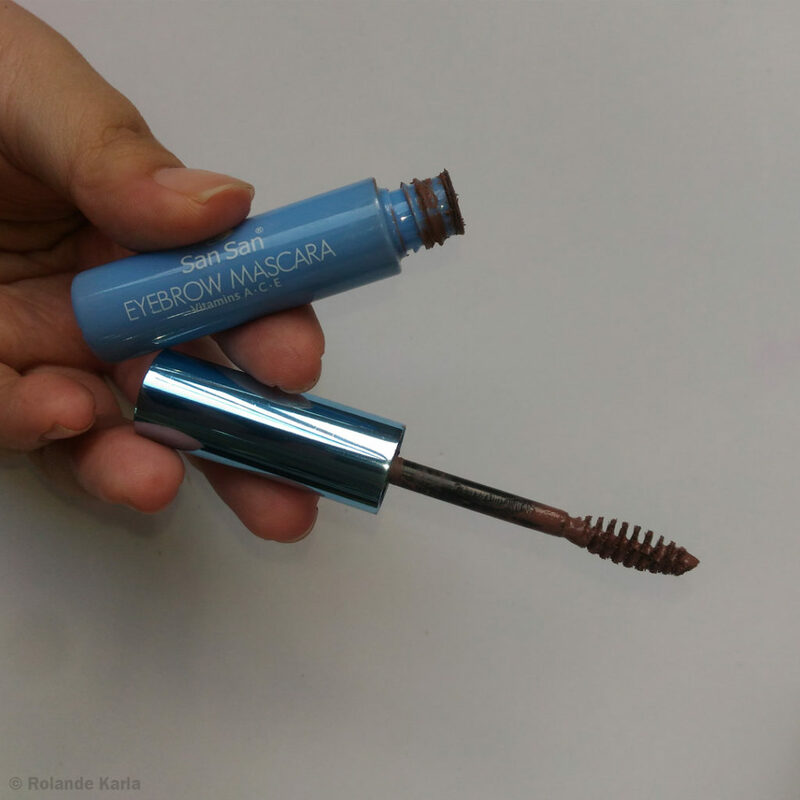 A little goes a long way with this eyebrow mascara! The only things I don’t like about this is that it makes the brow hairs a little stiff (but not overly so), and it’s a little tricky to remove. You would need a makeup remover for it. It’s a little frustrating when I just want to wash my face and be done with it. These were applied using an angled brush. 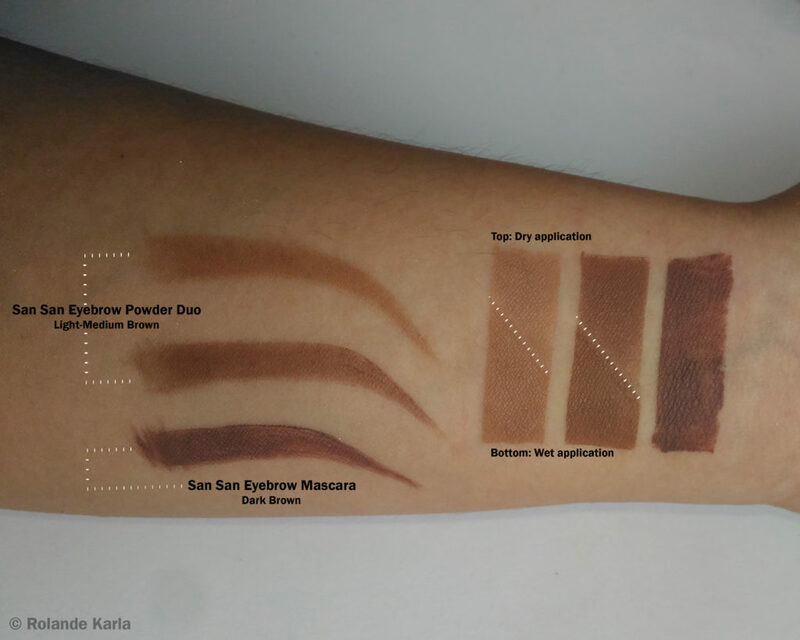 The swatches on the right (hopefully) show the difference between dry and wet application of the brow powders. Now, that’s what I call budge-proof! Overall, I highly recommend these two products! I was a loyal user of their eyebrow pencil before when I was in high school. 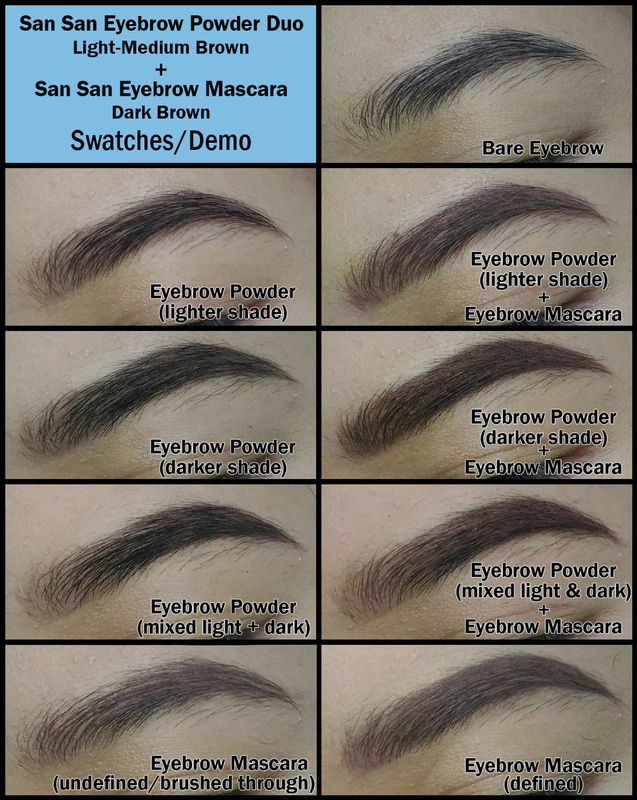 San San knows how to up your brow game! Yes! Well, when I use them up, that is. A little does go a long way and there is a lot of product! Plus, they are both very affordable.